Sharing with younger generation is a noble task. I never bored of giving talks and inspiration to students that passionate on innovation and design. Let’s think, back to your teenager age, how many of you know about 3D CAD? Even 2D CAD is not in our mind. We just know about sketching with our favorite 2D pencil and ruler. Isometric drawing view? That’s killing me! Last week, I had a visit to Melacca. Satay celup and nadaje layer cake is part of the reason. The main course is to give a sharing to a (big) group of secondary students who are in a competition. 1st of all, I’m jealous as they have this great exposure but no doubt, it’s a great start for them. 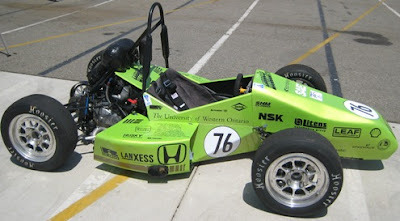 Most of them knew SolidWorks basic modeling technique for a national competition – F1 in school. Part of the presentation, I talked about flow simulation. I always have this worry is that are they too young to talk about flow simulation? Do they know about drag and lift force? Again, they gave me another surprise; they are good in this too! Mainly because of the competition, they need design a scale down CO2 formula 1 to compete with others. 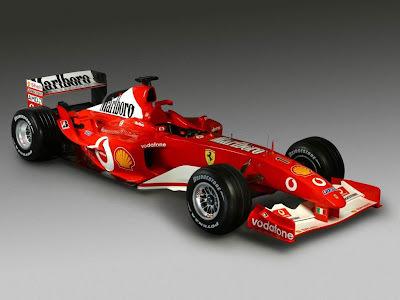 The main considerations are the weight and the aerodynamic design of the vehicle. Weight can easily monitor in SolidWorks but apply the right material. SolidWorks flow simulation offers them a straight forward wizard base setup for external flow which allows them to learn flow simulation, easily. They can study the air flow over the vehicle. 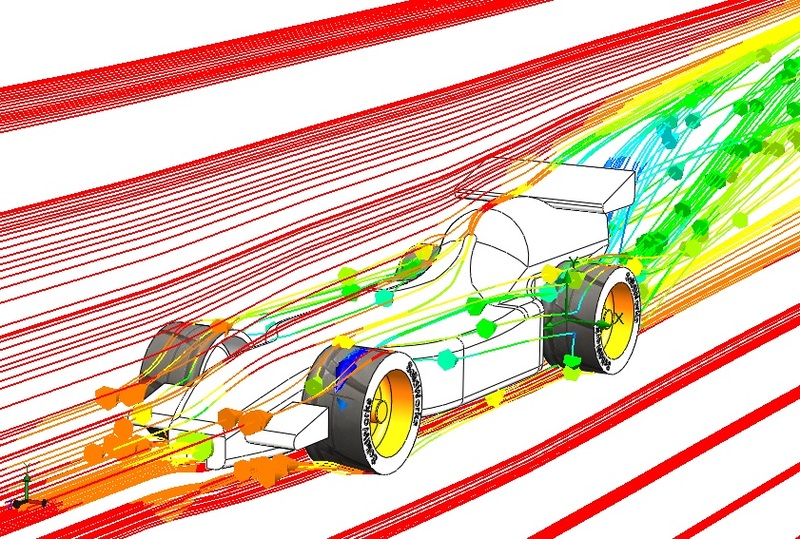 With better visualization, flow simulation gives a better insight on the pressure acting onto the design as well as the velocity. Like I said in the sharing, you don’t want your vehicle to have lift force instead of down force. If you have lift, your sport car will fly when ‘pump’ out from the compressed CO2. 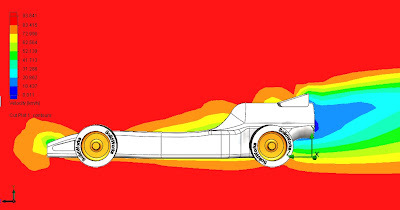 A cross section at your spoiler will let us know the pressure distribution above and below the design. Easily, you know your design is a car or a plane. Okay, I try stopping myself to talk too much on technical feature. Just one last point to highlight, you can set an equation goal to calculate the drag and lift force. Example, coefficient of drag (Cd) can’t be obtain directly but other known value can be set a goal. 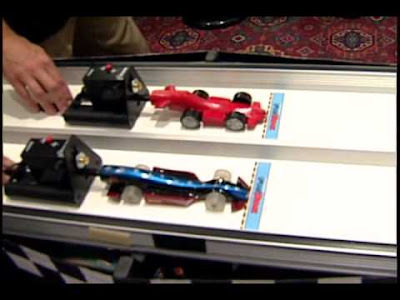 At the end of the calculation, you have the drag and lift for you to compare the result. Easy? After the sharing, I saw a lot of young and passionate designer. Truly wish with the assistant from a great tool – SolidWorks and SolidWorks flow simulation, they can visualize their imagination and design better and faster dragster to win the F1 in school competition. All the best young man! Click here to follow our Facebook fanpage and keep in touch. I truly appreciate you taking the time to share this informative post, I'll definitely be back for more! Thank you! Hi there, did you model the ground for the flow simulation? Or did you just let the model float in mid air? I'm assuming if you let the model float in mid air, then you set the goals to find the X-direction force, then using the drag force equation, to find Cd?